You might have noticed we have recently reviewed a number of active loudspeakers. We explained why this solution is both economically smart and technically interesting in our short series of articles written by Mark Wheeler. We have also started reviewing pro gear, that is audio products aimed at the pro market (musicians, public address, recording studios etc.). This is why I couldn't avoid testing an active monitor loudspeaker from a Company, M-Audio, which is a real best-seller in this field. M-Audio is a US Company, recently acquired by Avid and hence part of the InMusic network. This Company designs and builds several products for the pro market: MIDI interfaces, controllers, digital keyboards, software and, of course, active loudspeakers. 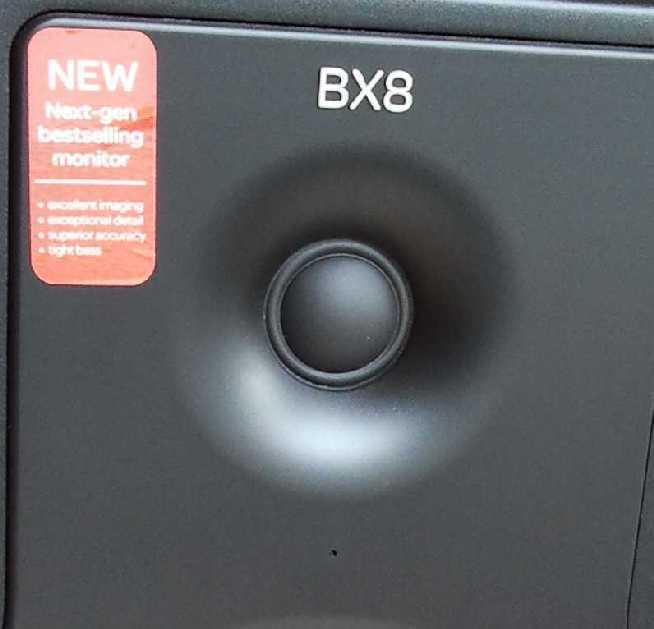 Their model BX5a is the best-selling monitor in the US (source: MI SalesTrak® reports January 2009 – December 2010). 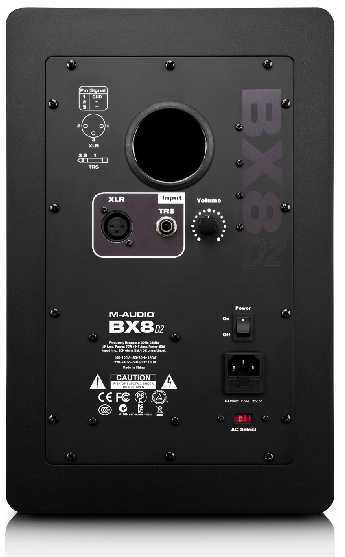 I was curious to test its bigger brother BX8 D2, equipped with a beefy 8" kevlar® woofer (instead of the 5" driver of the BX5a) and, thanks to the generosity of the Italian distributor Electronic Star.it, which is a part of the Electronic Star European network, I've been able to spend some time playing with these active near-field monitors. The BX8 D2's are big active monitors with a 8" woofer and a 1 ¼" silk dome tweeter. 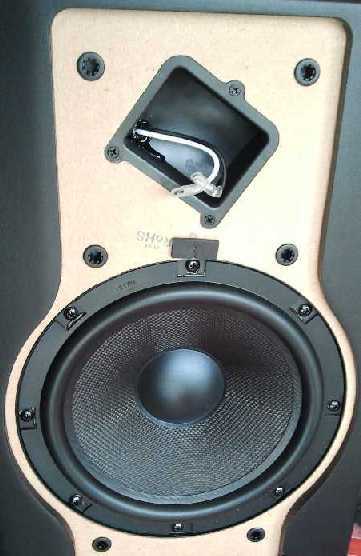 The cabinet measures 38,1 (H) x 25,4 (W) x 30,48 (D) cm and net weight of each speaker is around 12 kg (25 lbs). Big and heavy! The cabinet is made out of black-vinyl laminated MDF (thickness: 1cm) with a sturdy internal bracing that connect the side walls. Even the corners benefit from small reinforcements braces. There's a good amount of acoustic foam inside while the rear panel is free and hosts the electronic components, i.e. amplifier and crossover network. 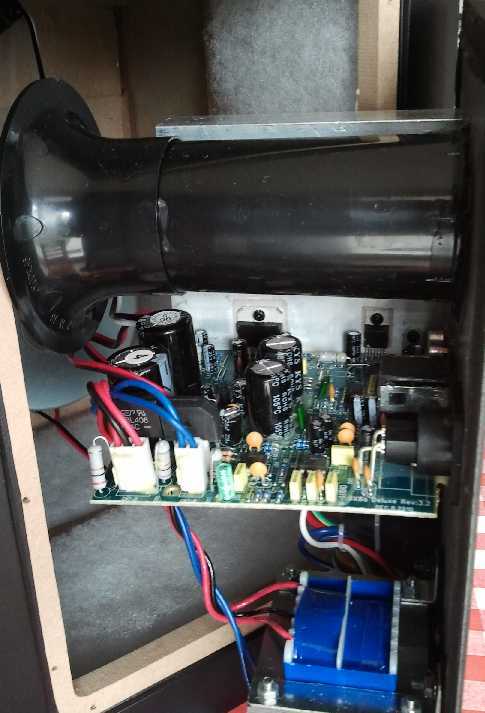 Each driver is powered by a dedicated amplifier, 70 watts for the woofer and 60 watts for the tweeter. It is a classic Class AB amplification, with a standard power supply and two power chips glued to a heatsink plate. The crossover frequency is 2.2 kHz. 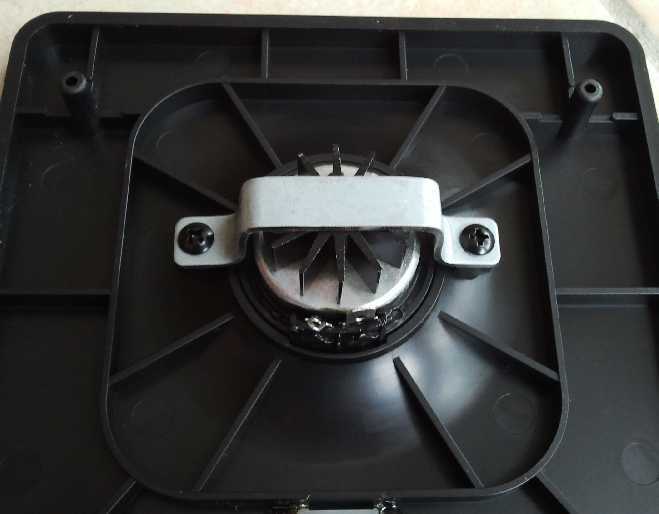 The electronic parts, considering the "pro" target, are protected by several features: anti-RF protection, limitation of output current, overheat protection and on/off transient protection. There's also a subsonic filter, while a standard fuse protects the mains. 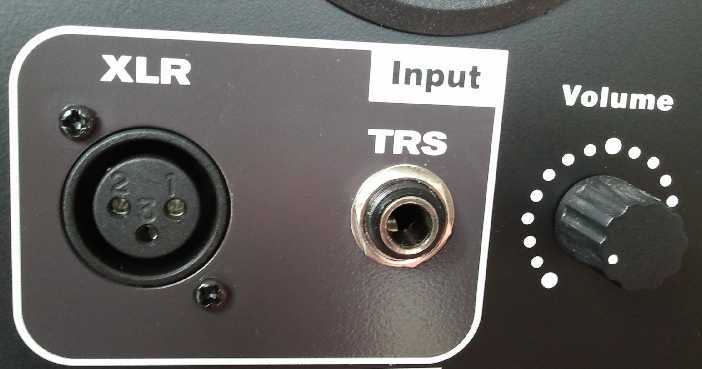 The rear panel hosts a volume knob, two line inputs (balanced XLR and unbalanced TRS), an IEC mains socket, a mains switch, a voltage switch and the rear firing reflex port. The apparently unbranded drivers are magnetically shielded to prevent interferences with TV screens. The woofer has a big and heavy magnet and is installed on the front baffle by means of 8 (!!!) screws. The 1 ¼" silk dome tweeter has a so-called OptImage waveguide and a very small magnet (probably a neodimium unit). It is installed into a niche which is completely isolated from the rest of the cabinet. Internal wiring is the standard 2sqmm figure-8 cabling. An elegant blue led below the tweeter indicates when the speaker is switched on. The cabinet is extremely well made, especially if one considers the price tag. The black vinyl finish is neat and the corners and the edges of the cabinet are rounded to prevent sound diffraction problems. Surprisingly, a dust cover isn't supplied. The speaker are made in China. These BX8's offer a standard two-years warranty and a complete, detailed owner's manual with useful advice on proper installation. Also available is a pair of soft pads that should be used under the speakers to avoid scratches to the surfaces, as typically the monitors are meant to be installed on a desk. You are probably aware of the old debate between audiophiles and music pro's: audiophiles claim pro gear isn't adequate for HiFi purposes while pro's claim only pro gear is sufficiently neutral to reproduce music. Music pro's usually say HiFi gear, and loudspeakers in particular, are coloured and artificial, while pro monitors are the only ones that produce musical truth. For this reason many audiophiles tend to associate a clinical, dry and unforgiving sound with pro monitors. Actually, if you work in a recording studio you assume that what you're hearing from the monitors is the closest thing to the master and, hence, to the real thing. Thus, studio loudspeakers have to be neutral enough to serve as a sort of magnifying glass. For all these reasons I was very curious to put these speakers through a reality check. Let me start with the obvious: forget your prejudices, first of all! These speakers sound exactly like HiFi speakers do! Installed on stands that align the tweeter with the listener's ears and placed in a standard stereophonic set-up (far from the walls and forming an almost equilateral triangle with the listener's seat) they deliver a full, solid sound, with a powerful and deep bass range and a refined, though not aggressive, high range. I was expecting for all the musical details to be shouted mercilessly at me...but certainly wasn't the case. Rather, what came out was a good, complete sound which was almost easy on the ears. The tonal balance is indeed on the neutral side, just a bit shy in the mids, voices in particular. These appear slightly thinner than they should be, especially male ones. Not to an annoying degree but it remained so with all the recordings I tried. The same light attitude can be perceived with string instruments that are reproduced with good precision while their body is somehow lacking. This is bizarre, since I was expecting exactly the opposite! I would guess the 2.2 kHz crossover frequency plays a role here. Indeed, the big 8" woofer seems not completely up to the task when forced to reproduce the mid range. Consider it has the delicate job of reproducing frequencies around 1 kHz, where the human voice is centered and where our ears have their maximum sensitivity. I had confirmation of this while listening to musical programs with a strong and deep bass range, at high volume. 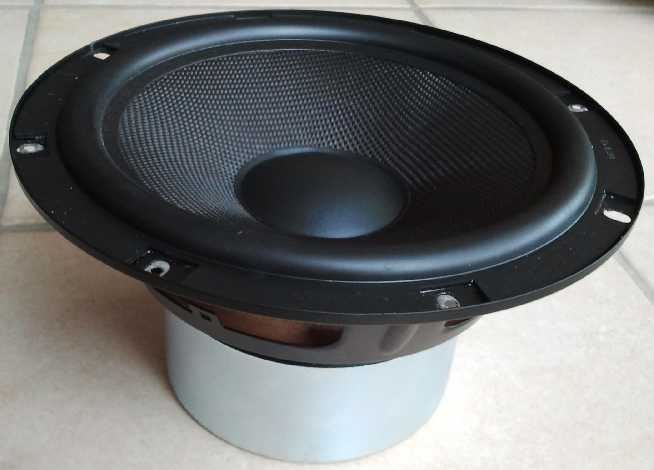 Here the woofer seems not to be able to manage the hard task: reproduce strong and deep bass and still be accurate and precise in the mid range. On the other hand, its performance in the bass range is spectacular! Drums, electric bass, double bass and even organ pipes are reproduced with power, extension, control and speed. The claimed lowest frequency is 40 Hz (@ -3dB, I assume) and, from what I've heard, this seems achieved with ease. Of course, you can't expect perfect definition and articulation of bass notes around 30 Hz (like on some Massive Attack's albums, for example) but I can assure you the bass performance is stunning, given the size of the speakers. Actually, they can easily rival small floorstanders. The bass reflex, when pushing the speakers to their limits, emits the usual noise of the air flow escaping turbulently from the port. BUT, this is at the cost of some small sacrifices in mid range reproduction. Tweeter performance is good: it is precise, detailed but never edgy or harsh. It is sufficiently transparent to reproduce a good amount of detail, yet doesn't spit them in your face. Yes, it is a near-field monitor but that doesn't necessarily mean its sound is aggressive. Anyway, with a studio monitor I was expecting a prominence of voices and mid range in general but that doesn't seem to be the case here, as the harmonic content in the mids isn't on a par with the performance in the rest of the audio spectrum. The internal amplifier, though it appears rather elementary, delivers a very good performance, especially in the macrodynamics department. The differences between pianissimo's and fortissimo's are underlined with ease and the dynamic jumps are reproduced effortlessly. Perhaps the fact the drivers have dedicated amplifiers plays a role here and certainly the absence of long speaker cables is highly beneficial in terms of control and damping of the woofer movement. These speakers sound fast, with extremely quick attacks and decays. This is an advantage even in the microdynamics department, where the performance is stunning for this price range. A similar performance is possible with speakers (and amplifiers) of a way higher price tag. This is well known to everyone who has listened to a pro-oriented component and has compared it to similarly priced HiFi competitors. With near-field monitors, which are meant to be placed on a desk, there's no need to create a 3D soundstage. Speakers are close one another and, normally, close to the rear wall. However, when placed like standard HiFi speakers, these BX8's produce a wide and nicely focused soundstage. The absence of sharp edges in the cabinet and the OptImage waveguide on the tweeter suggest the designer has taken this parameter into serious account. Indeed, the BX8's brochure underlines the efforts made to get proper imaging. Even the sticker in the front panel claims these speakers have been designed to deliver "excellent imaging". Of course, being quite large speakers, you can't expect them to disappear like smaller speakers can do. The image they produce is geometrically correct, solid, stable and with several layers of horizontal planes. The behaviour in the mid range (a bit recessed, as said) seems to add some extra depth to the virtual scene. Depth and even height of the image are on a par with similarly priced HiFi speakers, if not better. Overall, the performance in this department is surprisingly good, especially if one considers the target (near-field pro monitors), the size of the cabinet and the price tag. Of course, a typical customer for this kind of speaker won't pay huge attention to imaging but the fact these speakers can image well says something about the efforts the designer put into this project. A nice surprise. Considering the price tag (350€ here in Europe, it might be lower in the US) there's no room for serious complaints. The quality of the finish is very good and the speakers look like they are much more expensive. I particularly liked the absence of screws in the front panel and the rounded corners. Some competitor, though in another price range, might offer more, for example a DSP control to optimize the sound to the room, but frankly we couldn't ask for it at this price. The absence of a dust grid might be a problem as is the lack of a protection inside the reflex port. Being quite large there's the possibility it can be used a secret repository for little toys etc. From an audiophile point of view the lack of RCA line level inputs might be another problem: one is forced to use XLR-RCA interconnects unless one uses a XLR-equipped source (preamp or CD player). Long XLR-->RCA cables are easy to find, though, so this isn't a real problem. The volume control, being separate for each speaker, doesn't allow for a precise level regulation: you need to trust your ears and everytime you wish to adjust the volume you have to carefully realign the speakers levels. A microstepped attenuator on both speakers could solve the problem - just count the steps! - even better the volume control might be paired with a digital display that shows the setting of the volume control. Otherwise, you can set the volume at its max and then adjust everything by means of a line level potentiometer. This could be electronic, if the source allows (PC, variable output CD player etc.) or traditional, if you use a preamp. Despite the very good (claimed) signal/noise ratio these speakers produce a slight amount of noise, even without a source: a slight hum (mains hum) from the woofers and a negligible amount of hiss from the tweeters. You need to put your ears close to drivers, though. The sound of these speakers has been a nice surprise. 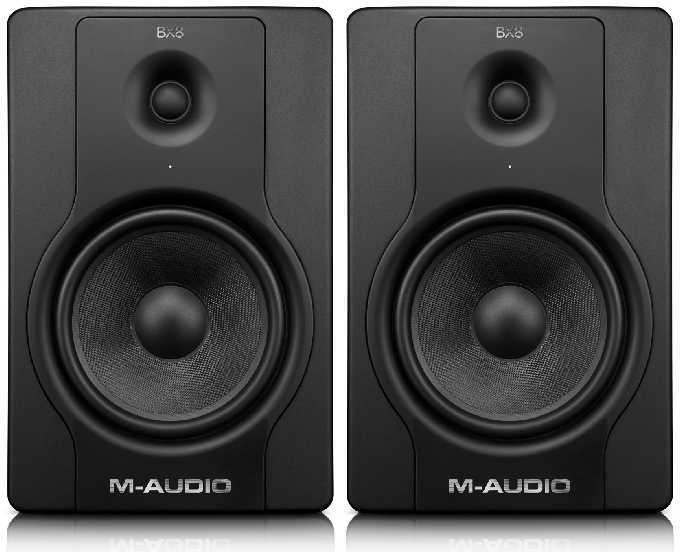 I was ready for acoustic aggression but these M-Audio BX-8's have performed nicely exactly like a good HiFi speaker does. I'd have preferred a stronger and harmonically richer mid range, able to remain correct even at high listening levels. The speakers can reproduce any kind of musical genre, be it pop, rock, opera, classical or jazz, without preferences. They can highlight the good and the bad of any disc and this is exactly what I expect from a monitor speaker. Audiophiles might prefer a more personal sound, with more nuances and, dare I say it, colourations...but don't forget these are meant to work as monitors! In order to exploit the short signal path these speakers offer, you should connect directly to your source, with no preamp in between. This implies the use of long interconnects but with a balanced cable this isn't a real problem. Of course, using expensive audiophile balanced cables is a no-no, as their cost (considering the lenght required) can easily exceed that of the speakers! A simple pro XLR-RCA cable will get the job done. These can be found easily even on Ebay or at any pro music store for peanuts. Feel free to experiment with different mains cables. If you wish, some inexpensive DIY design from our website might do the trick. It doesn't seem these speakers are mains-phase sensitive as reversing mains plugs produced no audible effect. Use sturdy speakers stands and avoid placing these speakers on a shelf or on a desk, even if they were designed to be used this way, they sound way better on stands. Try some toe-in towards the listener's seat, it might be beneficial. As usual, keep the speakers far from the (rear and side) walls in order to get decent imaging and a good balance in the bass range. I'd suggest placing the speakers at least 1 meter from the rear wall, at least, though the speakers sound reasonably good at shorter distances. Finally, don't forget some serious break-in - at least 50 hours! - before judging them. For 350€ you get a big, nicely designed and manufactured bookshelf plus a powerful amplifier..it is hard to get the same quality (and quantity) purchasing passive speakers and a separate integrated amplifier. With 350€ you can just purchase an entry-level audiophile-league amplifier from NAD, Rotel or Cambridge Audio. Are these speakers a bargain? You bet! Of course, they impose some restriction of use (e.g. single source) but if you just need to give voice to your PC, CD player, TV or iPod these babies are hard to beat. Match them to a smart device like the Cocktail Audio X-10 (review due soon) and you get a complete, good sounding audio system for less than 700€, all included. Forget all your prejudices on pro gear and give these babies a try.